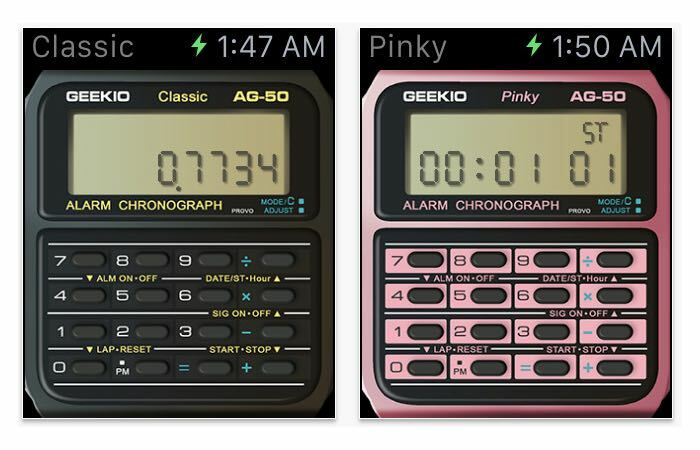 If you would prefer a retro look on your brand new Apple Watch, then the new Calculator Apple Watch App might be the perfect fit. The Casio Calculator Apple Watch App transforms your cutting edge wrist worn technology into a 1980’s retro Casio Calculator watch for $1. Enabling you to do calculations directly from your wrist at any time of the day or night. The Casio branding on the app has been replaced by “Geekio” for obvious legal reasons, but the inspiration is still very clear. Jump over to the Apple Watch app store to download it and install a little 80’s nostalgia on your new smart wearable.